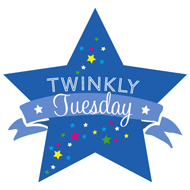 Twinfant Tuesday: Looking back | How Do You Do It? I, too, felt like I handled the first year exceptionally well. I, too, look back and see the crazy. Why didn’t I ask for more help? Why didn’t I agree to the offers of friends to do my groceries for me? I had something to prove, but I’m not sure what! Perhaps the crazy that comes with sleep deprivation is a survival mechanism for new moms? A resounding YES to your number 1 and 4. Seriously, bathing and long bedtimes routines are a romanticized ideal of new parents. Maybe if you only had one kid… I’ll never know. Just get those kids down, and do it now!! The sooner they are down, the sooner you can be down, or at least put your feet up for 10 minutes. And the same could be said of my bathing habits in the first year… If I wasn’t leaving the house, who would know that I hadn’t showered in three days? (My poor husband… but that’s besides the point). And lowered expectations were a big deal for me too. Well, rather, I decided well before my twins were born to just have NO expectations, and it served me very well. Awesome post, these are all such good advice. It took me FOREVER to realize a short and sweet bed time (and nap) routine that actually helped the boys transition to bed, rather than become a long, involved thing that everyone dreaded. I also nursed basically on demand, but if I was feeding one, may as well offer to the other one at the same time. That was the closest I ever got to a schedule. It was so hard to live with the unpredictability, but ultimately the best thing for us all. Now at 11 months, they have made their own schedule and they certainly let me know it :o) And I have turned into a total nap tyrant. Now that we have turned a corner and they are falling asleep in their cribs, no crying, we are home for naps, period. With that, I’m trying to rest more. More important to take care of myself than the house, etc.